Is Van Dijk On The Virg Of Being The Best In The World? IT was a devastating blow. Just as we had all gotten used to the idea of the answer to Liverpool’s defensive prayers lining up in his big, red super suit to start the new season, news broke that the club had officially ended its interest in Virgil van Dijk. Whatever the reasons for Southampton getting irked with The Reds and their pursuit of their star player, forcing the club to back down, there was a huge air of disappointment around Merseyside. The defence desperately needed improving, and van Dijk seemed to tick all the boxes. Many suggested that Jürgen Klopp should have gone for an alternative, but he didn’t. He bided his time. He knew that the big Dutchman was a rare breed, unique even, and had everything he wanted in a player to lead the defence of his evolving Liverpool side. He also trusted the likes of Dejan Lovren, Joel Matip and Ragnar Klavan in the short term. He even played Emre Can and Gini Wijnaldum at centre back in a game at Brighton, which felt a bit like the knife juggler at a circus also balancing on a wire for no discernible reason, but it worked. 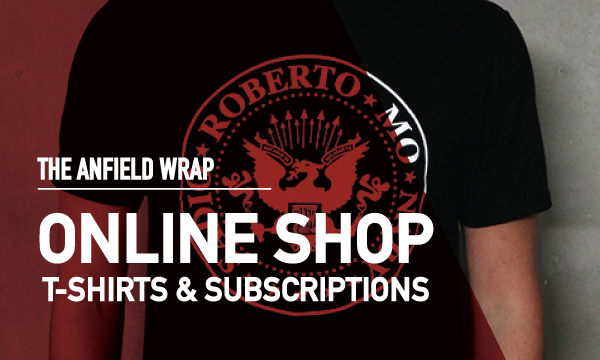 Like yer da at Christmas, despite The Reds procuring a superb defender who they were in dire need of, the price tag was seemingly the only thing that was worth discussing. Nearly a year on and it says it all that nobody is talking about that price tag anymore. If anything you would imagine there will be people at Southampton who now think the £75m they received was actually too low. Their former captain has gone on to play in a Champions League final and establish himself as a leading player in world football, while The Saints’ performance at Manchester City on Sunday featured the sort of defending that looked like when you try and teach your three-year old niece how to play FIFA. Wesley Hoedt also looked like he’d rather go and play with his toy pony at times. Ever since van Dijk came in and scored a late winner in a Merseyside derby to knock Everton out of the FA Cup on his debut, he has gone from strength to strength, as have those around him, and less than a year after signing, he’s already seen as arguably Liverpool’s most important player. Quite the accomplishment when you consider who else lines up with him. It felt like another milestone performance from the former Celtic stopper on Saturday in the 1-1 draw with Arsenal. 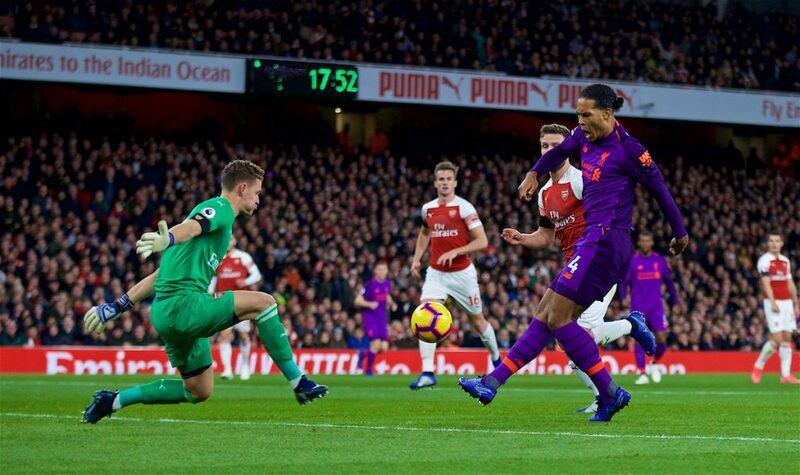 Van Dijk was imperious at the Emirates Stadium, not only thwarting one of the most electric attacks in the country time and again, but organising others, spraying the ball around like a deep-lying playmaker and even getting up the other end to threaten Bernd Leno’s goal. It’s no exaggeration to say that he could easily have had a hat trick, and if there’s one thing he perhaps can improve on it’s his finishing. That goal on his debut remains his only strike to date for Liverpool. The impact he had on what had previously been a flaky Reds backline was immediate. 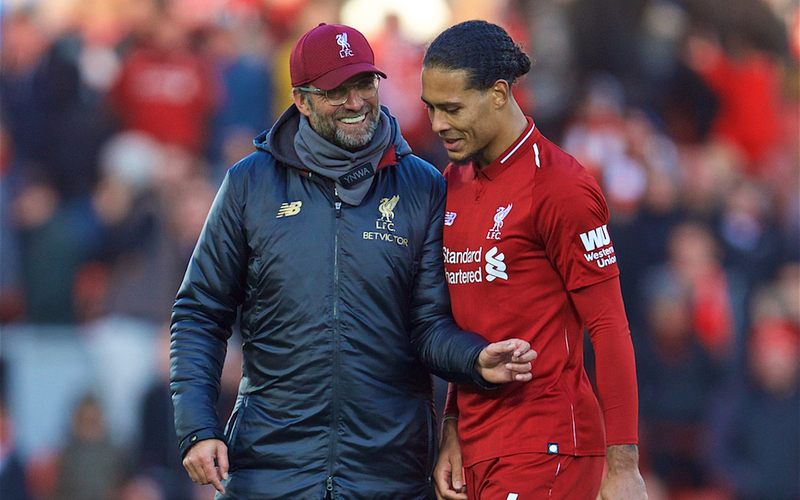 In the league last season, Liverpool conceded 28 goals in the 23 games prior to van Dijk’s league debut, and then only a further 10 in the 15 subsequent games. Then of course there was the resoluteness that saw them reach the Champions League final in Kyiv, that you frankly wouldn’t have backed with a defence of Matip and Lovren. This campaign has so far seen Liverpool concede just five goals in 11 league games, compared to 17 during the same period last season. This isn’t all down to van Dijk’s presence of course. Alisson Becker has largely looked imperious in goal since his arrival from Roma, while Trent Alexander-Arnold is a year older and wiser, and Andy Robertson is now playing in place of Alberto Moreno. It also helps massively that Joe Gomez has decided he’s going to be Franco Baresi until told otherwise. Signing van Dijk meant Liverpool levelling up. His addition means that Klopp now has a player of the calibre of Matip as a spare defender – a player who the manager rightly says would be first choice at nearly every Bundesliga club, and most Premier League clubs. Lovren has started in a Champions League final and a World Cup final in 2018, and yet there aren’t many arguments when he doesn’t make the lineup due to the form of van Dijk and Gomez. Van Dijk has a demeanour that just seems to calm everyone around him, be it teammates or fans. If Virgil tells you not to worry then you can sit back with a cup of tea and wait for everything to blow over. He has almost single handedly eased the collective buttock clenching from the stands when crosses come into the Liverpool box. His performances since arriving in L4 have prompted those close to the club – slowly but surely followed by those in the wider football world – to ask whether he is indeed the best. Best in the Premier League? In January I suggested that yes, he was. I was often mocked by those telling me he was nowhere near the levels of the Belgian trio of Toby Alderweireld, Jan Vertonghen and Vincent Kompany. All fine defenders, but consistency in both availability and in performances that have seen a marked improvement in one of the rockier defences in the league has led to a general consensus shift and more of an acceptance that van Dijk now probably sits atop that particular tree. Best in the world? A much harder question to answer. It wasn’t that long ago that there seemed to be a general dearth of genuinely top-class centre backs in world football. However, now we have players of the calibre of Diego Godin, Giorgio Chiellini, Thiago Silva and Leonardo Bonucci. Godin and Chiellini in particular stand out as centre backs whose thirst for defending is unquenchable, and make sure everyone around them cares as much and works as hard as they do. Silva is classy and at his best can be an absolute wall, but does throw in the occasional wobbly game. Bonucci looks sensational at Juventus next to Chiellini, but did mainly look dreadful in a Milan shirt last season, perhaps showing that it’s the influence of his fellow Italy international that brings his performances to a higher level. Some may argue that Sergio Ramos and Rafa Varane should be in the conversation as Champions League winners (and in Varane’s case, also a World Cup winner), but since van Dijk arrived at Anfield, The Reds have had the joint-best defensive record out of the top five leagues, while Real Madrid have conceded nearly three times as many league goals as Liverpool in that time. In some minds, he’ll need to win trophies to be up there with the best. I’m not so sure I agree as winning them is down to the entire team. For example, if you’d have swapped Varane and van Dijk in the final in Kyiv, the result wouldn’t have been any different. The winner’s medal would just be in a different pocket. Essentially, like most “best in the world” debates, it’s subjective. Everyone has a slightly different opinion on how good a player is and what makes them better or worse than another. It also changes on a practically weekly basis. Kevin De Bruyne and Mo Salah were the two best in the Premier League last season by a country mile, and sure enough after a handful of games of the new season the media were asking if Eden Hazard is better than both of them. Most importantly though, it also isn’t in the least bit important. Football is about which team is better than another, not which player is better than another. Van Dijk is the best defender for what his club and country needs at the moment, and as long as he keeps playing at the levels he is and answering the questions asked of him, medals will follow and his legacy will be cemented.